As it is our wish to satisfy all needs and tastes of every guest our 19 rooms have all been individually decorated, each with its own character, while having a high level of comfort in common: air conditioning, mini bar, hair dryer, flat-screen television with satellite connection, telephone, safe and unlimited wifi internet access are featured in all rooms. 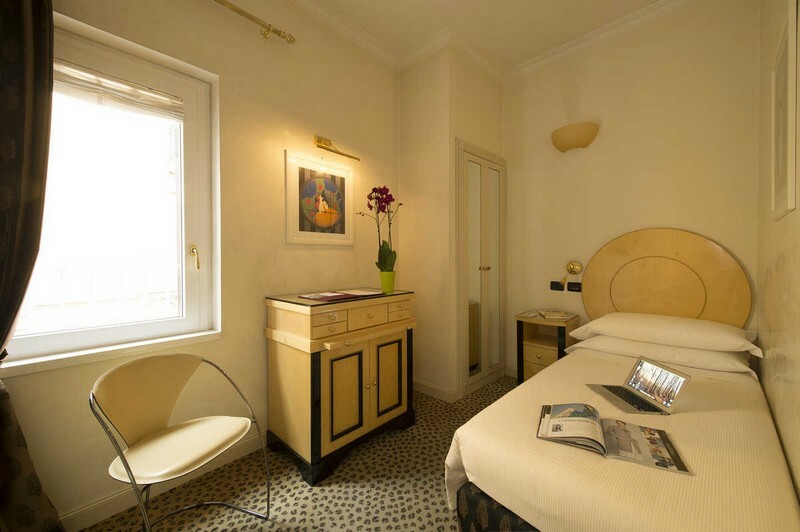 All of our rooms are provided with modern comforts, high quality mattresses, feather pillows upon request and marble bathrooms with bathtub or shower. 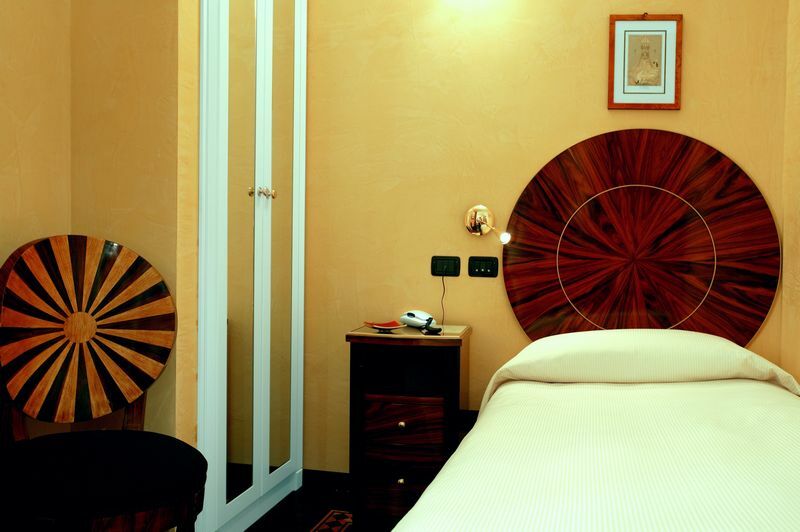 In the bathroom you will find cotton towels and large soft bath-sheets, hair-dryer, complimentary toiletries and slippers. We also offer upon request and with a fee a service of special surprises in your room (flowers, chocolates, champagne, etc. ), and the much appreciated option to have in-room breakfast each morning. 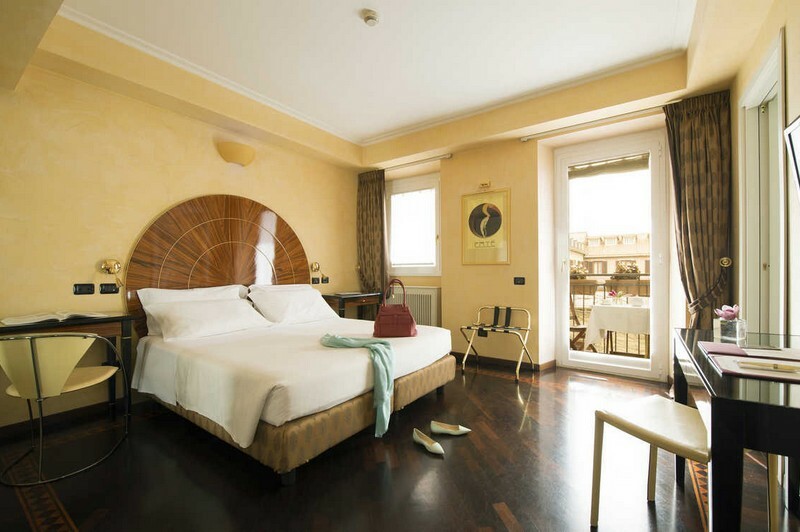 With a view of the 17th century palaces of Via Gregoriana we offer two types; with wall-to-wall carpet and furniture in ash or with parquetry in wengé and rosewood furniture, with a single bed (80x200cm), pure cotton sheets and, on request, feather pillows. With a view of the 17th century palaces of Via Gregoriana or overlooking the internal courtyard, we offer two types, both with the possibility of single use; with wall-to-wall carpet, furniture in ash or with parquetry in wengé and rosewood furniture, with either a double bed (160x200cm) or two single beds all with pure cotton sheets and, on request, feather pillows. The most spacious and romantic of our double rooms has a jasmine-covered balcony overlooking the internal courtyard and offers the possibility to host three people with the addition of a single bed. 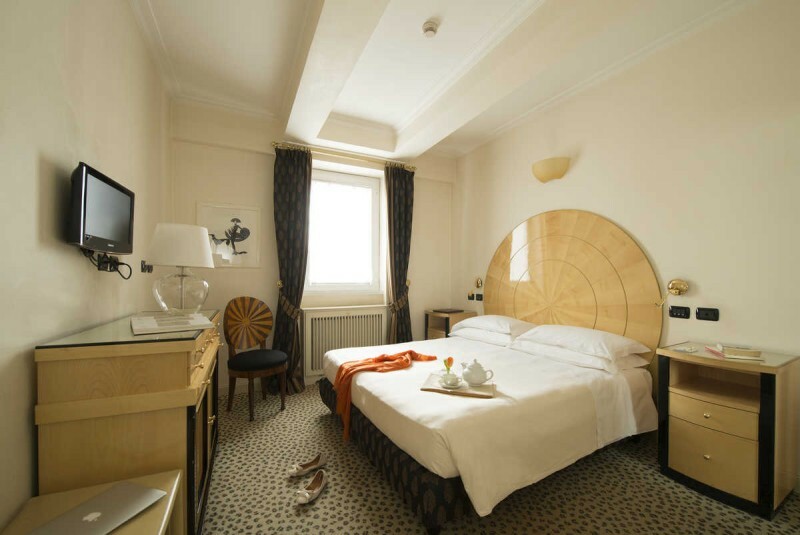 We offer two types: with wall-to-wall carpet, furniture in ash or with parquetry in wengé and rosewood furniture, with either a double bed (160x200cm) or two single beds all with pure cotton sheets and, on request, feather pillows.